Napheesa Collier had 31 points, 16 rebounds and six assists to help No. 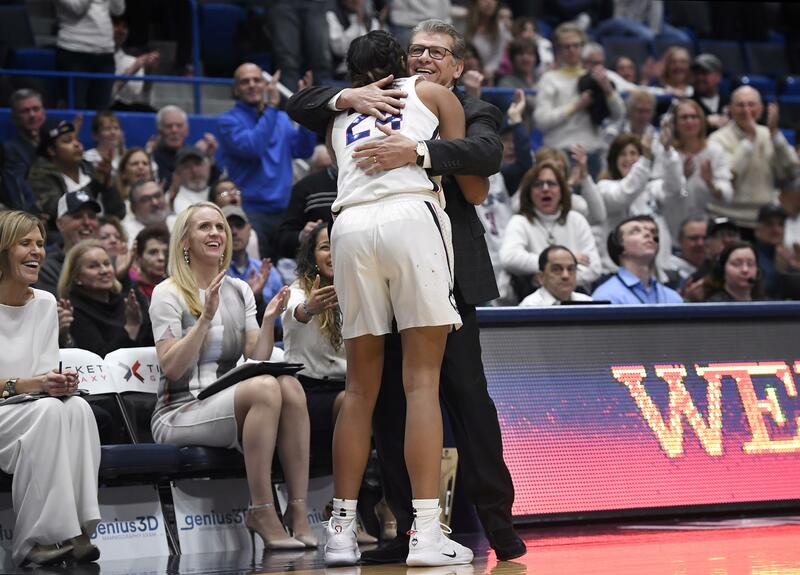 4 UConn beat 11th-ranked South Carolina 97-79 on Monday night in Hartford, Connecticut. The victory was the 89th straight at home for the Huskies. That’s the second-longest winning streak in NCAA history, trailing only UConn’s school-record 99-game run. (17) Kentucky 68, Alabama 53: In Tuscaloosa, Alabama, Rhyne Howard scored 23 points with four 3-pointers, Maci Morris added 17 points and the Wildcats beat the Crimson Tide. (23) Michigan State 77, Indiana 61: In East Lansing, Michigan, Shay Colley scored a career-high 32 points on 12-of-18 shooting to help the Spartans avenge a loss to the Hoosiers earlier this season. Taryn McCutcheon finished with 12 points and Nia Clouden scored 11 for Michigan State (17-5, 7-5 Big Ten). Jaelynn Penn scored 19 points for Indiana (17-8, 6-7 Big Ten), which beat the Spartans 68-64 at home on Jan. 6. Published: Feb. 11, 2019, 8:31 p.m.